Glass artists collective Bee Kingdom worked for 6 months with lab technicians in Calgary’s water treatment facilities to interpret some of the micro-organisms they work with as models in hot sculpted glass. The residency period and the resulting work bring to light the often unthought-of hard work happening behind the scenes in water treatments, and the fascinating world of micro-biology present in the system. 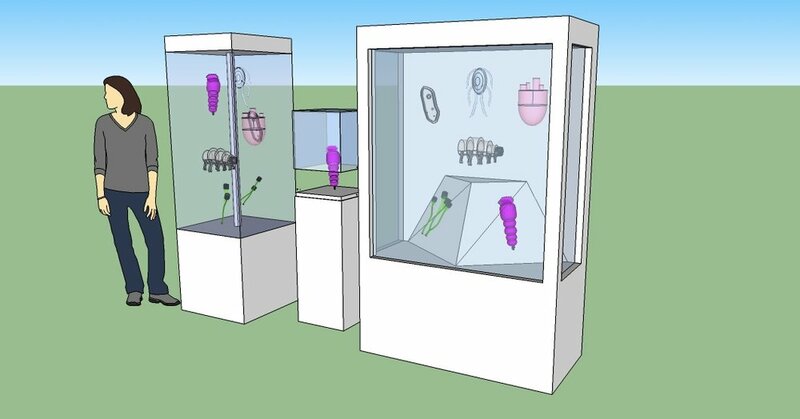 A view of some of the glass microorganisms we modelled in the display case. 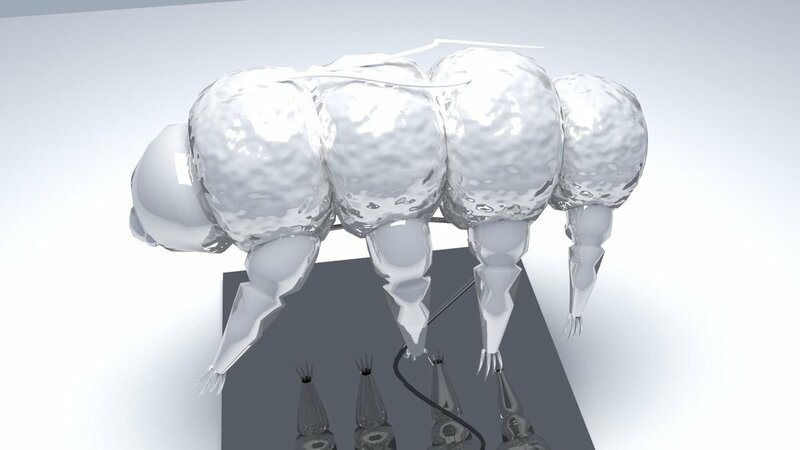 Courtesy of Julie Gagnon, here is a close-up view of a Tardigrade or 'Waterbear', one of the specimens we modelled in glass as part of the final installation.